My husband was sent to the hospital a few months ago with familiar symptoms: abdominal pain radiating to his back. We expected the usual myriad of tests to provide the same result we had experienced before: ulcers. Ulcers are no piece of cake, but treatable. But now: cancer. Seriously? Our first reaction was to go into crisis mode. I couldn’t even say the word “cancer” without an extra swallow to choke it down. I resorted to referring to it as the “c” word but soon realized my word games were giving it more power than it deserved. I started to say it out loud: cannn…cerrr. 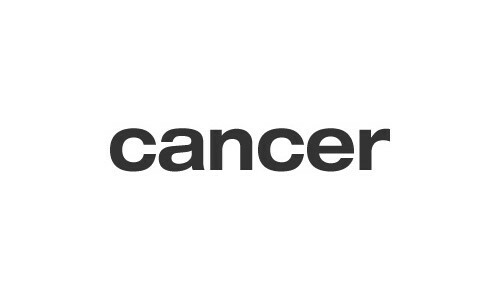 I wanted “cancer” to simply be a word, not a life sentence. A six-letter word. “C” is for crisis. What a shock to be tossed into the turbulent seas of the cancer world. There are immediate tasks and tests when the cancer is first being discovered in order to find out its type, its point of origin, its impact. “A” is for appointments. There were more than a dozen scheduled meetings within the first month of my husband’s cancer diagnosis. Hey, I thought it was tough to figure out how to fit in the car maintenance and dental checkup appointments. The calendar became a key reference tool in our home. “N” is for normal. The flurry of initial activity was redirected into a mindset where cancer has become a new normal for our family. There is a season of shock that continues long after the first mention of cancer, but gradually, there is some integration of its reality into our regular lives. Many times, all I could feel was “numb” (yes, another “n” word) but “normal” is a healthier approach towards getting a handle on this disease. “C” is for coping…and community…and cure. How to cope? It is a decision. A decision to change our attitude from fear to hope. Noticing how cancer affects people of all shapes, sizes and colors made us recognize that this cancer world is a community. As a community, we all have in common the search for a cure. “E” is for education. The best defense is a good offense, and in the case of cancer, education is one of the strongest offensive moves we can make. I started to research like never before. “R” is for renewal. We are moving forward in my husband’s treatment. What keeps us going in a positive spirit is daily renewal in prayer time in which I’m thankful for a new day, every single day. The only way to honestly deal with difficult situations like this in our lives is with hope, and the decision to deal with it, one day at a time. Our journey down the cancer path has begun. Starting with “c”risis mode and multiple “a”ppointments, we recognized a new “n”ormal in our lives, learned some ways to “c”ope with it by getting “e”ducated and remember that we need daily “r”enewal to stay strong. We can beat this battle with…say it with me…cancer.